The quarterly Welsh language periodical of the London Missionary Society. 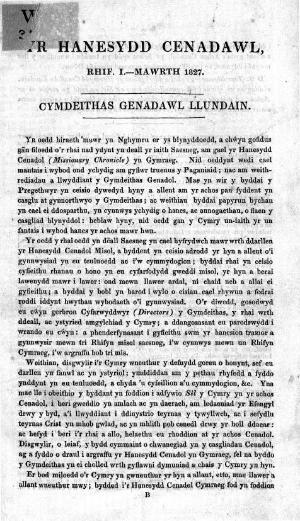 A Welsh language digest of The Missionary Chronicle, the periodical's main contents were missionary news and news from the society. Associated titles: The Missionary Chronicle.